Falmouth Yachtsmen Varsity defeated Fryeburg 12-2 on Saturday after taking the lead late in the game. The game was tied at two with Falmouth Yachtsmen Varsity batting in the top of the fifth when there was an error, scoring one run. Falmouth Yachtsmen Varsity captured the lead in the first inning. Robbie Armitage's sac fly scored one run for Falmouth Yachtsmen Varsity. Fryeburg evened things up at two in the bottom of the fourth inning. An error scored one run for Fryeburg. Falmouth Yachtsmen Varsity scored six runs in the sixth inning. 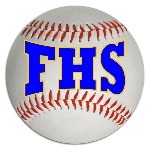 Falmouth Yachtsmen Varsity's big inning was driven by a double by Max Fortier, a fielder's choice , a walk by Cam Guarino, a walk , and a double. Fortier earned the win for Falmouth Yachtsmen Varsity. He went seven innings, surrendering two runs, eight hits, striking out 15, and walking zero.Falmouth Yachtsmen Varsity collected 11 hits. Garrett Aube, Fortier, and Griff Aube each collected multiple hits for Falmouth Yachtsmen Varsity. Aube went 3-for-6 at the plate to lead Falmouth Yachtsmen Varsity in hits. Fryeburg had eight hits in the game. #6 and #3 each collected multiple hits for Fryeburg.